Conversation: Leslie Hewitt and Zia Haider Rahman | P! As part of the exhibition Power Structures, P! 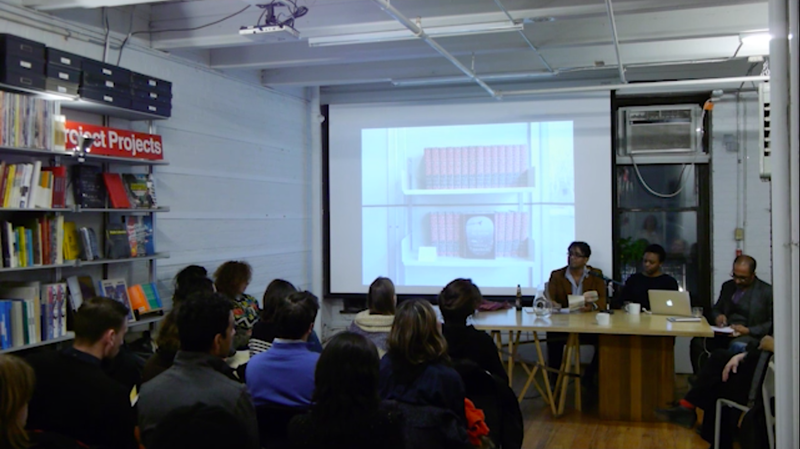 presents a timely conversation between artist Leslie Hewitt and author Zia Haider Rahman on topics ranging from mathematics, unseen structures, abstraction, political action, and more. The discussion will be moderated by Prem Krishnamurthy and will take place at 161 Bowery, 2nd Floor. Leslie Hewitt studied at the Cooper Union for the Advancement of Science and Art, the Yale University School of Art, and at New York University, where she was a Clark Fellow in the Africana and Visual Culture Studies programs. She was included in the 2008 Whitney Biennial and the recipient of the 2008 Art Matters research grant to the Netherlands. A selection of recent and forthcoming exhibitions include the Museum of Modern Art in New York; the Studio Museum in Harlem; Artists Space in New York; Project Row Houses in Houston; and LA><ART in Los Angeles. Hewitt has held residencies at the Studio Museum in Harlem, the Museum of Fine Arts, Houston, the Radcliffe Institute for Advanced Study at Harvard University and the American Academy in Berlin, Germany amongst others. She recently joined the faculty of Barnard College in the department of Art History.